Over 600 student art pieces on display at HB Art Center for 12th Annual Creative Visions Art Showcase. STEM activities for all ages at Perry Elementary School's Family STEM Night. Moffett Student Council and Huntington Beach plant trees in Drew Park for Arbor Day. Sowers MIT Group perform at Surf City's Got Talent Competition at Downtown HB. Yes we have talent! Moffett Student Council and Ms. Tree celebrate Arbor Day tree planting at Drew Park. Ms. Laura Zellmer is surprised in class as she is name HBCSD's Teacher of the Year! Sowers Middle School students program sphero ball through the maze. 21st century learning using Science, Technology, Engineering, Art, and Math to inspire learning and problem solving. HBCSD Preschool student building and thinking through play. More STEAM activities for our early learners! Surf City's Got Talent finds talent and vocal chops with Sowers's MIT group! Dwyer Middle School's Femineers' Club promotes female engineers! Ready to rule the world! 12th Annual Creative Visions Art Show at HB Art Center held over 600 student art displays in addition to live performances! Congratulations to HBCSD Classified Employees of the Year! Thank you for all you do to support our students! UCI Mobile Rocket and Fab Lab at Perry Elementary School's Family STEM Night. Sowers's MIT Group rock it out at Surf City's Got Talent in downtown HB. Congratulations to HBCSD Early Childhood Education Program for being Outstanding ECE Program! Your opinion is highly valued and appreciated! 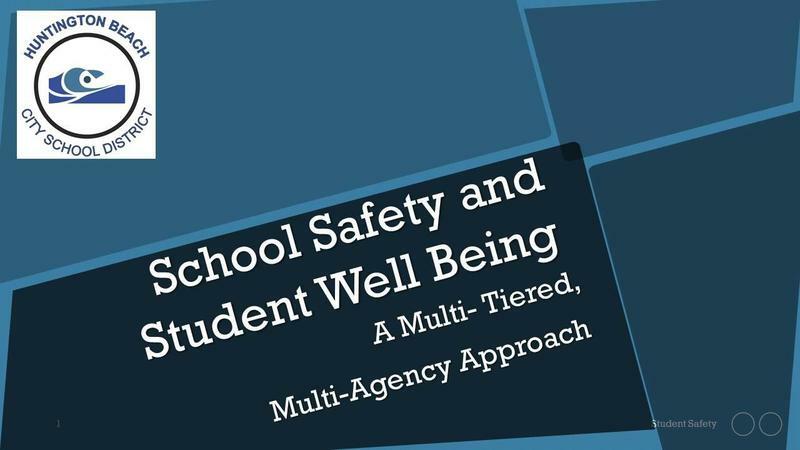 In order to learn more about student and family experiences in HBCSD, we will be asking for your feedback via a paper survey that will come home with your student in the next few weeks. Based on parent feedback the survey has been shortened to take even less time to complete! Your feedback will be an invaluable source of information for us as we work to make our schools and district as good as they can be. You will have an opportunity to learn about several early childhood program options for young learners and pick up registration forms. 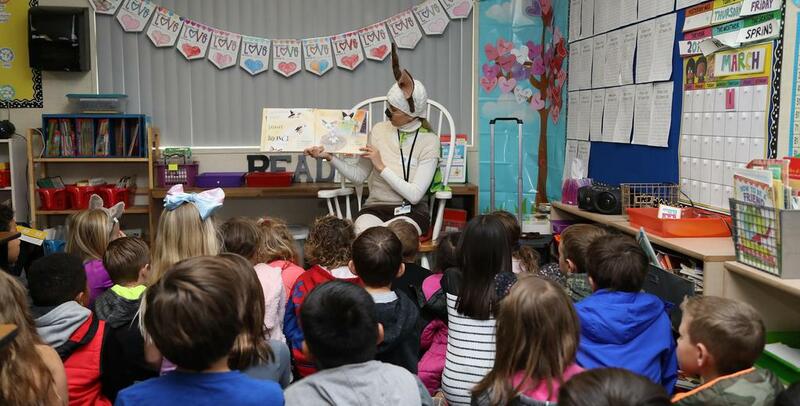 Children who turn five years old on or before September 1, 2019 are eligible for kindergarten. Children who turn five years old between September 2 and December 2, 2019 (also known as Transitional Kindergarten) or July 1 and September 1 are eligible for “Preppy Kindergarten”. Please note that “Preppy Kindergarten” is only held at Perry Elementary School and if interested, parents should attend their event. We are excited to announce that our newly renovated District Education Center will be ready for occupancy on December 17, 2018. Please see the flyer for our new address and location as of the aforementioned date. 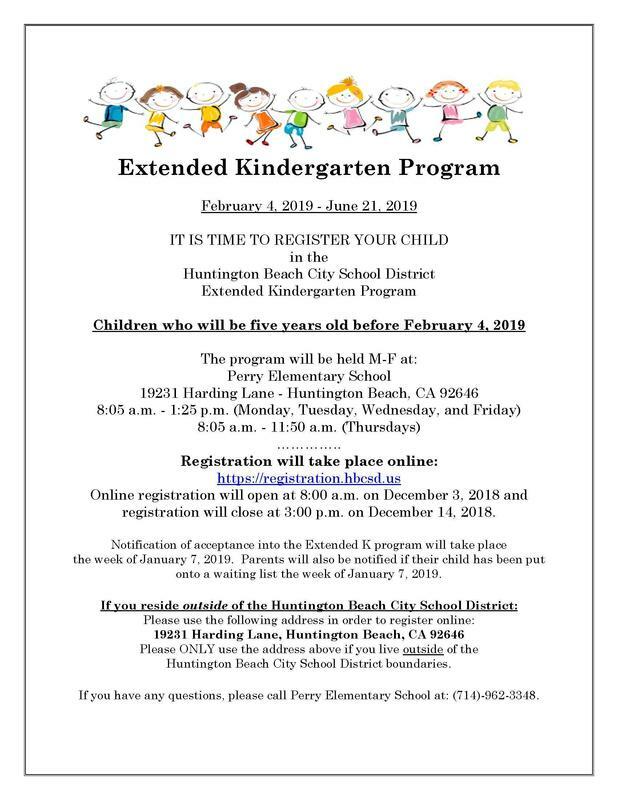 HBCSD is proud to offer the Extended Kindergarten program once again at Perry Elementary School. Class will begin on February 4, 2018 through the end of the school year. Please click the link to view the flyer and for information on how to register. The HBCSD Board of Trustees has approved the Local Control Accountability Plan for the 2018-19 school year. Attached is the document containing the questions and related answers from the Community Forum.